As miniaturization and convergence continue to drive the electronics industry, so Laser Direct Structuring (LDS) grows in popularity by enabling smaller designs with integrated functionalities. As miniaturization and convergence continue to drive the electronics industry, so Laser Direct Structuring (LDS) grows in popularity by enabling smaller designs with integrated functionalities. Enter ForTii® whose unique heat resistant properties enable the production of small pitch components using reflow soldering. High temperature LDS designs really start to make a difference when driving the integration and miniaturisation of various component functions. The plated areas can have multiple, combined or mixed functions, for example in E&E conductive tracks or thermal management through tracks or surfaces. This also includes mechanical functions by plated areas and visible queues & aesthetics (except operational symbols & logos). Take a look at some of the cases and learn why ForTii® is proven to be highly effective for Laser Direct Structuring (LDS). ForTii is the best balanced material for applications where high temperature (reflow) and mechanical performance are needed. Take a look. ForTii offers you outstanding performance across all steps of the LDS manufacturing process. It offers good molding for small parts with high flowalong with a wide processing window for lasering. This is coupled with a high plating index for easy playing and excellent peel strength and overall good adhesion. 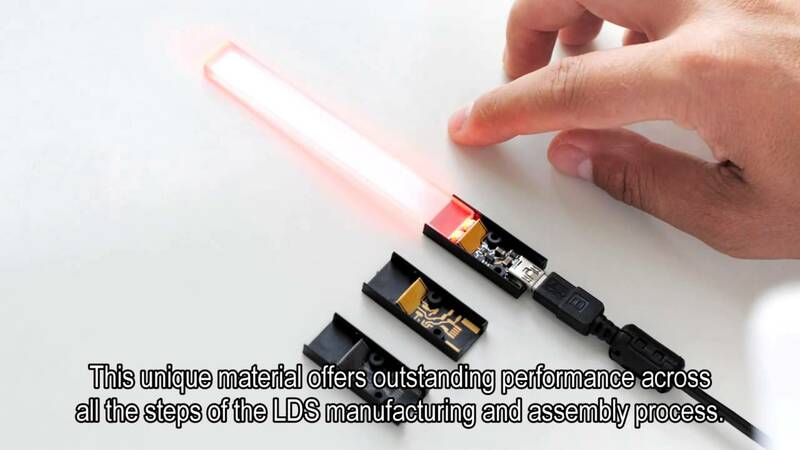 LDS technology drives fast innovation in comparison to other molded interconnect device (MID) technologies by allowing on-the-fly changes at the prototype phase along with multiple configurations in production components – and all while incurring little or no additional tooling costs. It all adds up to a great competitive advantage. The Research Association for Molded Interconnect Devices 3-D MID (based in Germany), highly respected and very closely connected to the evolving needs of the industry. LPKF Laser & Electronics AG, a leading manufacturer of machines and laser systems used in electronics fabrication, medical technology and automotive. Also based in Germany, the company has a very strong focus on research and development. Find the right plastic for your product; Search through all products, applications, specifications and more.